I love visiting my oldest daughter's community, which has a large Asian population. I see Asian grandparents walking their grandchildren to school, grocery shopping with them and taking them to the playground. Clearly Asian families have a strong tradition of family involvement. 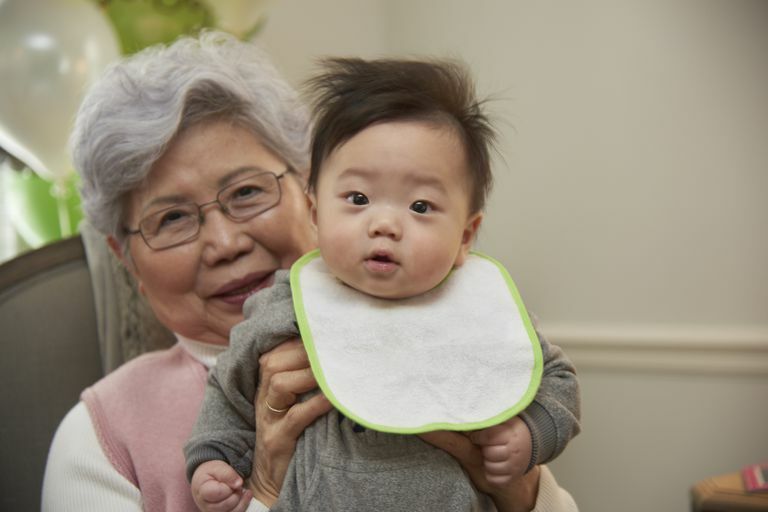 Asian-American grandparents are often involved in child care. They promote learning. But they also seem to have a lot of fun with their grandchildren. Of course, iIt is difficult to make generalizations about Asian grandparents as customs vary considerably from country to country. Some customs survive in Asian immigrant families, and some are replaced as the immigrants are assimilated into their adopted cultures. Still, some commonalities exist. In some Asian cultures, maternal and paternal grandparents are given different names. Such naming traditions mean that cousins often call grandparents different names depending upon whether they are related through their mother or father. Due to the difficulty of translation as well as regional differences, the following list of Asian grandparent names should be considered a general guide. China (Cantonese): Ye Ye for paternal grandfather, Ma Ma for paternal grandmother; Ngoi Gung for maternal grandfather, Ngoi Po (sometimes Po Po) for maternal grandmother. Asian families tend to have two characteristics that differentiate them from more assimilated American families. First, the responsibility of adult children to care for their parents is taken very seriously in Asian cultures, with adult children being expected to supply financial assistance and health care for their parents. Second, in many Asian cultures, grandparents reside with children as a matter of tradition and honor rather than out of financial necessity. Multigenerational homes are more the rule than the exception. Obviously when Asian grandparents live in a different country than their grandchildren, maintaining the traditionally close family unit is difficult. On the other hand, when grandchildren are American-born and their parents and grandparents are immigrants, a sizable generation gap can exist. When the older generations are not conversant in English, another barrier to closeness exists. 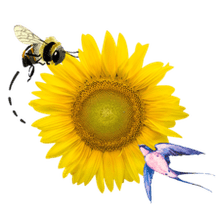 There are other significant cultural differences For example, Americans almost universally agree that grandparents should not interfere in their children's lives. That is a new concept for many Asian families, who may not observe boundaries the same way that other Americans do. In addition, the Asian model for the family tends to be more restrained and hierarchical than the American model. Some Asian grandparents are not openly affectionate with their grandchildren, although they love them very much. Others seem to have moved more toward the American mode of the indulgent, affectionate grandparent. Grandparents play very important roles in Asian families. In multi-generational family units, the grandparents are often active in child care and household tasks. In many cases, they enable the smooth functioning of a high-pressure two-career family. Sociologists have noted that first-generation immigrants tend to cling to the customs of their land of origin, but members of the second generation strive to fit in with the culture of their adopted country. What then of the third generation, the grandchildren of the original immigrants? Some suggest that the third generation may be more interested than the second in retaining cultural values. Noted historian Marcus Lee Hansen authored "Hansen's hypothesis," stating, "What the son wishes to forget the grandson wishes to remember." Some of those studying Asian-American families have reported that members of the third generation do indeed exhibit an interest in their ancestral culture, but without giving up their progress toward assimilation. What does this mean for grandparents? It means that they may have a ready-made audience for information about their culture, language and traditions. And that will make some grandparents very happy. Danico, Mary Yu, and Franklin Ng. Asian American Issues. Greenwood Publishing, 2004. Kamo, Yoshinori. "Asian Grandparents." Handbook on Grandparenthood. Ed. Maximiliane E. Szinovácz. Greenwood Publishing. 1998. 97-112.